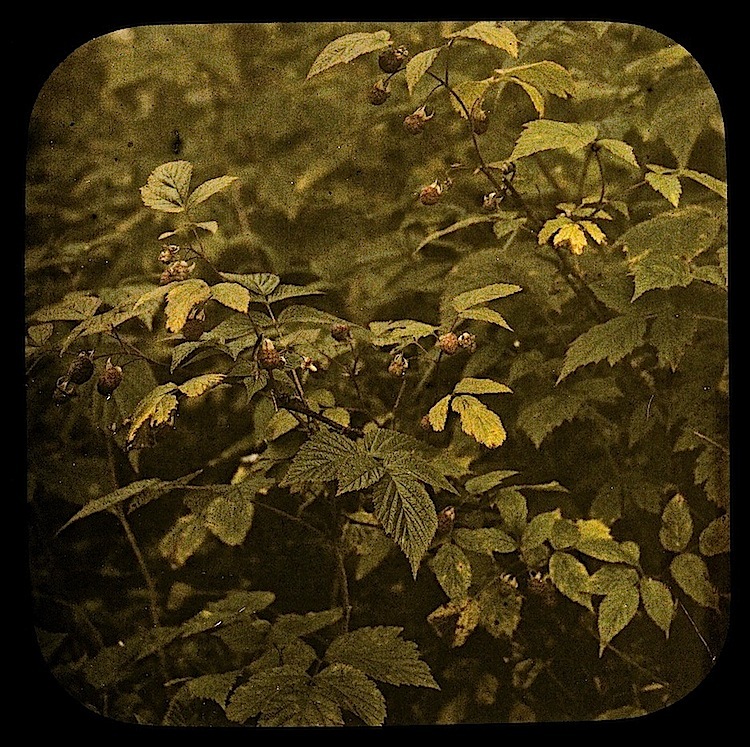 Raspberry bush (bringebær) in Målselv, Norway, 1912, one more autochrome by Hanna Resvoll-Holmsen, via Nasjonalbiblioteket (National Library of Norway). Dream, dream, for this is also sooth. Love it!! I really adore the quality of color in autochromes.